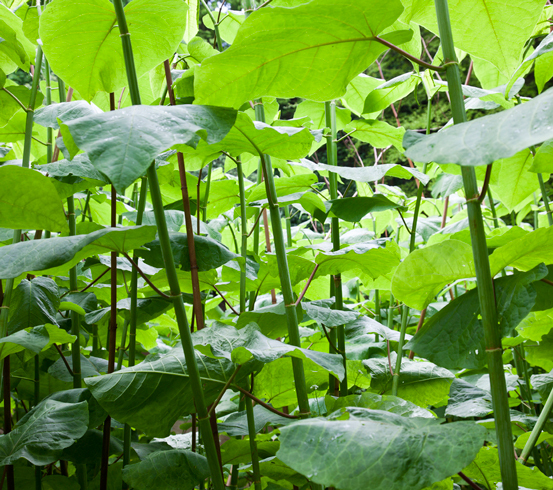 The laws surrounding Japanese Knotweed have always been strict, with home and business owners footing the bill when the notorious weed has caused damage or has not been disposed of correctly as ‘controlled waste’ in accordance with the Environmental Protection Act. Even stricter controls have recently been introduced by the government, classifying offending property owners as displaying ‘anti-social behaviour’ and threatening them with heavy fines and criminal convictions. Japanese knotweed was introduced to the United Kingdom in the Victorian Era and was intended to be a low-cost feed for cattle. At that time, it was not understood how singularly invasive the species was and, with no natural UK enemies such as the insects and fungi that control the knotweed populations in japan, the weed flourished and threatened biodiversity, easily winning the delicately-poised battle for nutrients and resources. 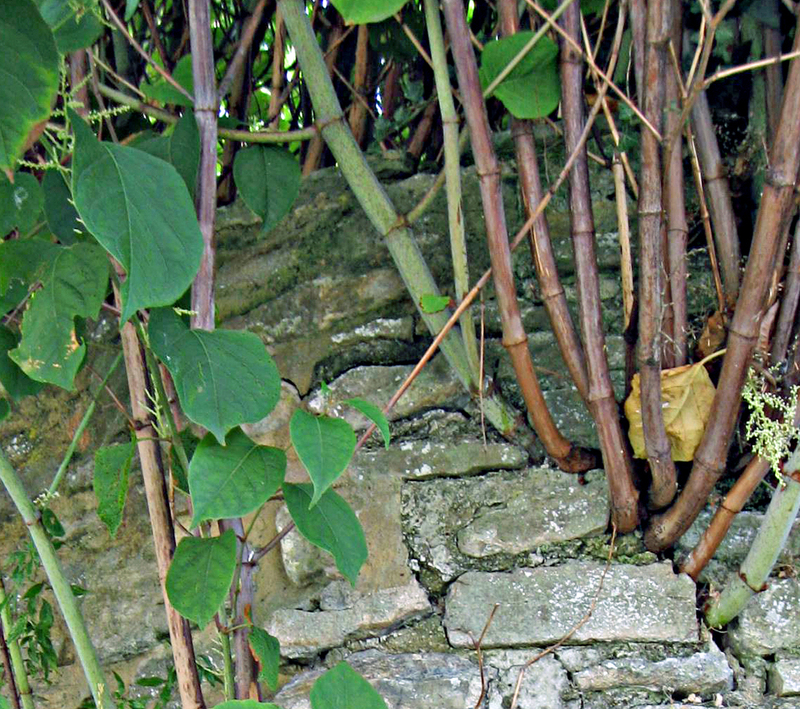 Once established, a community of Japanese knotweed can grow in size by a massive 10 centimetres every day, forcing its way through any obstacle in its path. Such obstacles often include tarmac, masonry, underground pipes & drains and building foundations, growing to 7m in height with roots of around the same length. The traditional approach of cutting down the plant makes the problem even worse - a single piece of Japanese knotweed is capable of quickly producing another plant. Homeowners who are found guilty of not attacking a Japanese knotweed problem will now be liable for a ‘Level 4’ fine under the new legislation, currently standing at a hefty £2,500. For business owners, the fine is much more severe, set at between £20-25,000. These new laws mean that there is likely to be a significant rise in the number of clients requiring weed control, from private grounds maintenance staff to schools, hospitals and local councils. 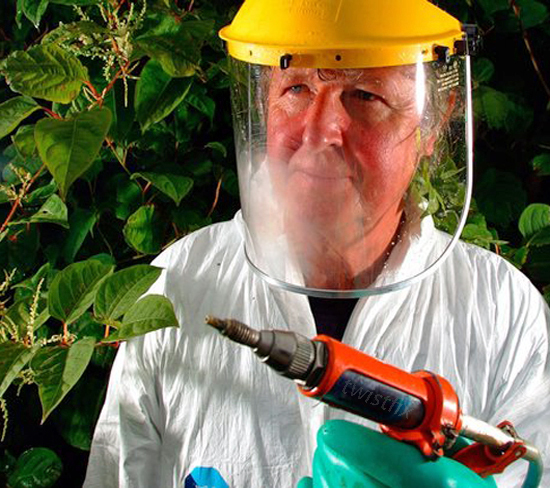 Roundup Pro Biactive, the efficient and cost-effective weed control formula available from Twistfix, is guaranteed to remove Japanese knotweed along with most other hardy weeds while offering complete safety to both environment and user. 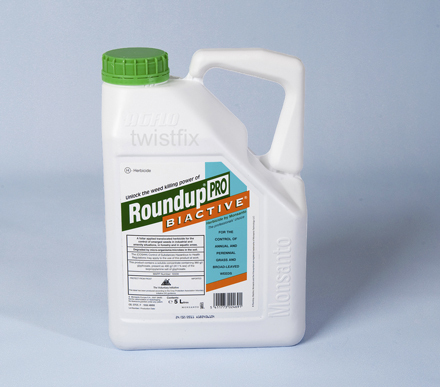 Make sure your company has the best - choose Roundup Pro Biactive weed control formula from Twistfix to help home and business owners comply with the new law. For more information on the superior weed control properties of Roundup Pro Biactive or any of our other grounds maintenance products, please call Twistfix on 0845 123 6006 or email sales@twistfix.co.uk.